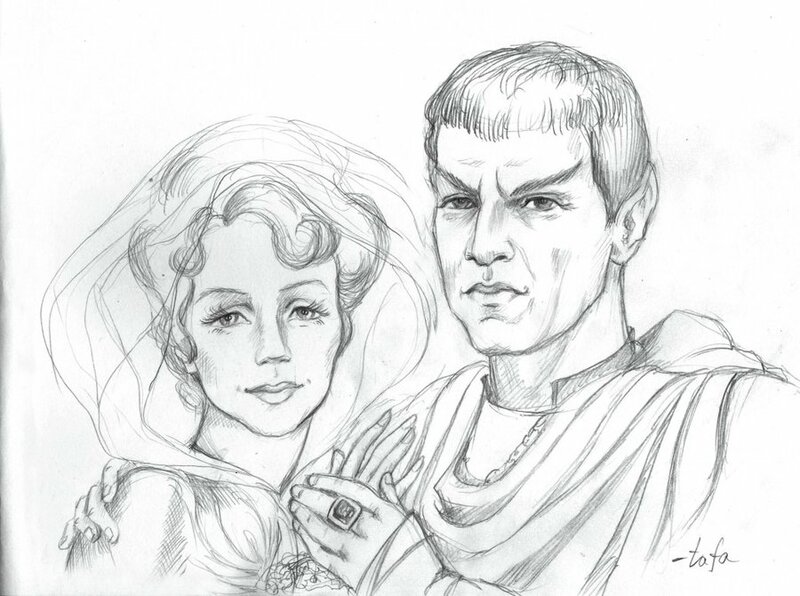 Another beauty by Tafafa – this time its Amanda and Sarek. Such regal poise; Sarek looks intense yet gentle in the way he touches Amanda’s hand. Amanda radiates pure love. I’d love to see this in full color! Speaking of Journey to Babel, be sure to check out my next Trek poster on Tuesday! This entry was posted in Fan Art Fridays (FArFri) and tagged Amanda, Journey To Babel, sarek, Star Trek, tafa, tafafa. Bookmark the permalink.